Brian, an accomplished runner and outdoor enthusiast, started working for outdoor specialty shops when he was 16 years old. For more than a decade, he tested countless products, developed trail shoes, and managed both Runner’s Corner and Canyon Sports. His love of running, combined with his education, vast knowledge of the outdoor industry, and his focus on proper running technique, led to the creation of a revolutionary running shoe. Brian co-founded Altra in 2009. The company quickly grew from a backroom operation to an established brand with international production. In 2011 Altra was acquired by ICON Health & Fitness. 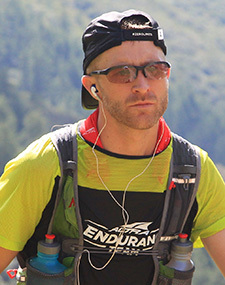 Brian ran collegiately at Utah Valley University and graduated with degrees in Exercise Science and Outdoor Recreation. He currently lives in Providence, Utah with his wife and three young children.